A contract holds you and the other party accountable to a set of expectations and deliverables. No matter how many discussions you had about the project or how many people have given their opinion, the contract defines the ultimate delivery. During long negotiations, selective memory becomes a problem. A tight contract takes care that. The person you know and trust might not be around during the execution of the agreement. People leave, get fired, or even die during a project timeline, and the very trusted agent that initiated, understood and saw the vision for your project might not be around. A clear contract will help you manage expectations to whomever inherits the project. While your trusted friend might have given his word, he, most likely, is not the ultimate decision maker. A superior, board of directors, Elders,Â or even a bank might cancel your project, leaving you without any recourse if you don't have a written agreement. Your "friend" might not be a friend at all. I know you might have a tough time with the idea of less-than honorable "Christian" leaders. Sadly, there are posers out there who never had any intention to pay for your goods and/or services but know how to win over your affections and get you to trust them. Even with a written contract sometimes it's hard to collect from these scoundrels. Without one, you might just as well forget it. I have been blessedÂ in that not too many of my clients have reneged on their word or agreements. But I've had enough of them falter that agreements are an integral part of my business model. I would recommend having them even for projects for family and friends. I have never regretted having a signed written agreement. 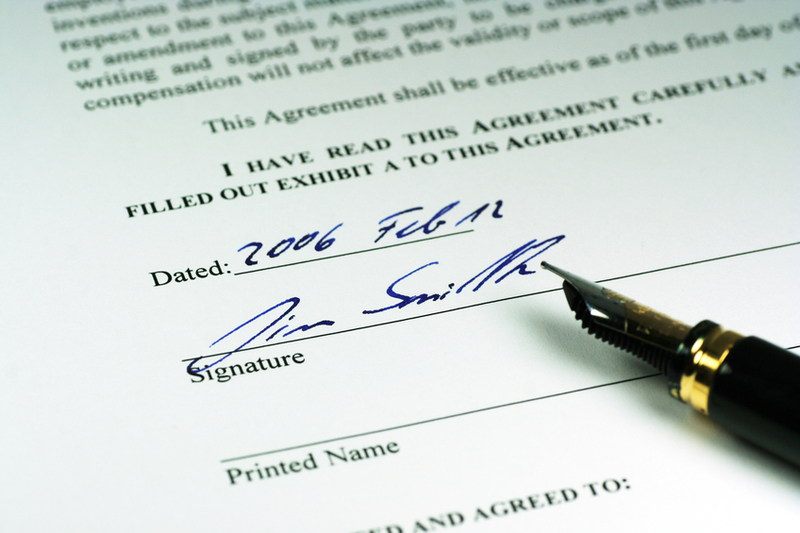 How do you feel about business agreements with friends? Family?